Article about planning the 2010 golf activities. Beginning in Febrary we have our first meeting so time is of essence. Article on Zen Gardens, and this one has the golf theme. A great gift for yourself or any golfer in your life. Article about a first of the season board meeting to start our golfing events for the year. An article about starting a new golf season in 2010. Plans being made for tournaments throughout the year. An article on updating the news of Mill Creek Golf Club restoration by Terry Dill. Members are working hard to make this happen. Article about our final golfing event of the year a luncheon where prizes and awards are handed out after good food at the Stagecoach Inn. This article deals with opening my shop for the golfer and including the books that have been reviewed. This is a review of the happenings at our Mill Creek Golf Club. Reflecting on the changes and events with our Ladies Golf. Another article on a healthy cookie with no flour, oil or sugar. I included the recipe and my experience in making it. The article is golf sayings from professionals and others to help keep your sense of humor on the golf course. A review of another golf season of 2012 and how to keep your energy up for a full 18 hole rounds. Recipe included of a Healthy Chocolate Chip Oatmeal Cookie. Are You in Need of a Laugh? This is an article on golf jokes which are listed on this web site www.golfjokes.com. When your feeling bad about your golf game check out this web site and get a few laughs at yourself or about others. This article list Arnold Palmers rules of golf etiquette while playing golf. We should all try to be more concerned around those around us when we are on the golf course. Article how eating protein will improve your power and keep you healthy. This articles covers my plans to start a beginner golf classes for ladies. This is in hope of expanding lady golfers in our golf club. A review of plans a series of Beginner Women's Golf Lessons I had for this year that never happened. We are on hold to start them early next year. I have fingers crossed that it will happen. Being in the Zone and how to get there! This article explains how a Hypnotherapist has created a CD called "Own The Zone" by Jennifer Scott of Scottsdale, Arizona. This CD will help you Own the Zone. In this article describes a Women´s Golf Web site that offers a great selection of items that would interested any woman golfer. This is an article about using the right ball for the clubs and swing you have. Experiment and discover the right balls for you. A review of places to search the web for Cristmas gifts for the Women golfer. A variety of suggestions of what you may find while surfing the web. A article suggesing where one can go to find unusual golf gifts for that golfer in your family. Checking on line brings up a good supply of ideas. Christmas Greeting to golf fans with article on where to find a good deal for golf and a place to stay. In these economic times golf courses are offering good rates for golf and guest accomodations. A review of spring cleaning after a long hard winter with work on your home, yard and golf equipment. Explaining my long siege with Singles leaves me without a lot of energy but still look forward to warm weather. This is a review of designer golf gloves which includes variety of colors, designs to cut out fingers and ring areas. An article about rules and etiquette or what we think about it as it applies to some golfers. Does Having a Caddie Help? An article about whether having a caddie help your golf game. Golf Magazine had an intertesting article on how a caddie helps the pro golfers. Golfers of all levels and abilities can work on improving their game at the driving range. It’s a great place to spend time on a new technique and work out any issues in your swing. This article describes a good healthy program to keep a healthy heart. It list six section of good foods that are good for the heart. This article includes a recipe for Nutty Honey Energy Bars that will help keep up your energy while playing golf. A reiew with a recipe for a Peanut Butter Chrunch Bar to give you plenty of renewed energy on those last nine holes of golf. An article with the recipe for Peanut Butter Energy Balls a quick and easy cookie that is no-bake. A good cookie for summer time with an energy boost. An article of 21 ways to improve your etiquette on the golf course. Golfer who abide by these rules will always be welcome on the golf course. This article covers a web site that offers excellent golf awards in plaques, statues, clocks for those winners in your golf club. Interesting fact about the game we love Golf. It is good to know the history or some facts about this game. The game of golf has changed but in reality has stayed the same. An article about our first board meeting and season opening for the Mill Creek Golf Club for 2008. An article about David Feherty and his sense of humor in golf. He is on television golf channel and writes for the Golf Magazine. An article about our last LGA meeting and items discussed. The article describes when problems arise with your golf swing it is time to make a visit with your Pro. Describe why your swing may have changed. This is an article about Dave Andrews foundation he and his friends started to promote the Duramend Futures Tour. Dave wrote the book Pops and Sunshine about this tour. This is a part of Play Golf America and looks like a good deal to get people interested in playing golf. A section of the Golf Digest explains how to get more power with your Driver. It shows examples of those who wish to break into the 80-90-100. Good advice. A fun article about a mythical book I think would help golf. This article is about our small community having two weekends for a Christmas Stroll which includes a parade. We will be including a decorated golf cart contest to be part of this parade. A review of different ideas for gifts for the golfer in you family. They may have everything for playing golf but these may be just the gift for them. Am article describing our last golf meeting of the year with a Christmas Luncheon at Stagecoach Dinning Room. A review about spring clean up of ones golf area in the garage. Listing ways to update golf equipment to get ready for the upcoming golfing season. This article explains how I was contacted by Larry Gavrich who has the web site called golf community reviews. I wrote a review of my course Mill Creek Golf Course for his web site. A review of playing golf during a heat wave. Suggestions for how to keep cool and survice the hot summer days. This article describes what it is like playing golf in the 2011 heat wave and drought. It suggests ways to keep cool and warning of drinking plenty of water. Gadgets to improve your game, the new Speed Stik has been advertised in magazines and the Golf Channel endorsed by ViJay Singh. This is a review of the golf web sites I check out on Facebook every day. Article on our planning session for the Golfing Season in 2008. We start our Season in February and runs through to November. In January we need to prepare ourselves and get ideas of what we will do as an golf organization. An article about my long illness and getting back into playing golf. This review of sayings was sent to me by a reader. They say a lot about golf and the players who love this game. An article about Ladies Golf Association and how they operate and continue each year. This is a review of the book Golf Sense by Roy Palmer on how to put your mind in the moment and let the Zone find you. A article about finding another enthusiastic golf writer at www.golfgurls.com. Great blog with a free ebook you can download. Golfsmith.com a great golfing web site. Article describing the great array of items for the Women golfer. They have a special section of golfing Christmas ornaments and other gifts. this article explains ways different golfers who shoot 100, 90 or 80 can improve by game. They used the "V" on how each players will improve her game. Article about the Callaway golf Foundation and the Entertainment Industry Foundation have Halle Berry as their spokesperon for Ovarian Cancer. HELP - My Driver Left Me! An article how my golf swing changed from one month to another. How a young lady golfer helped me get it back in the groove. A review of Golf Digest testing of new golf clubs for 2012. This article describes how they picked the golfers to test these new clubs. How are your Pitch Shots? Article about pitch shots around the green and how to work on this stroke. Details in Golf Digest article. How does your Ladies Locker Room Shape Up? This is a review of an article in Golf For Women magazine about the bad shape some of the Ladies Locker Rooms are kept. How to Ease Tension on a Golf Shot! Describing Annika Sorenstam´s suggestion on how to ease tension with a routine before each golf shot. She gives four suggestions one can try before your shot. A review of how to rev up your backswing to get more power. It comes down to tempo and suggestions on how to develop your tempo. From a book by Jane Horn on Power Golf she describes how with diagrams of proper grip, stance and swing for more distance and straighter shots. The article in the Golf Illustrated give four area to work on to improve your swing. From X-Factor, Swing arc, clubhead lag and pivot. I think it always is good thing to find some humor in golf. I have several good books of golf humor that I go back to especially in the slow months of winter. This article describes how a golfer can find his perfect swing plane from an article in the Golf Magazine. A review of a hand book on golf tips and how to improve your golf game. J. L. Lewis is a former PGA Golfer who wrote this hand book. This CD put out by Jennifer Scott a hypnotherapist who will help you find the Zone on the golf Course. Article on wearing Icy Coolers during your golf game during Texas not summer weather. A review of a email I received who had suggestions for golf games they have tried with their league. Also interest in golf book "Crazy Golf Games"
Article about a web site call Lady Golf. It is supported by Golf For Women magazine and the selection of apparel is amazing. A review of sayings on Life and Who You Are. It can help your golf game too. An update of the happening on the Mill Creek Country Club as work continues. Showing with pictures what is going on with a daily happenings. Theresa Terfoot from www.tkclothes.com has let me know she is going to have a big Memorial Day Sale and this article explains how to check her web site out. An article wishing all a Merry Christmas with a little something about me and why I like golf and keeping busy. I will be decorating a table for the Salado Republican Ladies Luncheon. I am using as my theme for my table Welcome to the Mill Creek Community Club and will be promoting the new updates on the course. A review of an advertising I saw in the Golf Magazine to put your game in the zone called Thought Free Golf. A review of many golf magazines stories on changing the rules for the average golfer. It seems we are losing golf membership because of the strigend rules for golf. A review on magazine article on Slow play and letters to the Editor regarding this article. An article on my last Ladies Golf Association board meeting. How the meeting went with two guest followed by committee reports with the next meeting our Christmas Luncheon on Dec. 3rd. An article about my past five years with bellaonline.com and the people I have met, plus golf items sent to me to review. Another article about Slow Play it is a never ending battle to keep players moving along the golf course. This article describes at age 42 is the perfect age for golfers. This is when they are in their prime physical condition and with practice they can improve as a golfers. A review of Golf Magazine on new clubs for the ladies. From driver, irons, hybrids plus description and price. This is a review of our final Ladies Day Event a Christmas Luncheon with a Chinese Gift Exchange at the home of our past President Janet Gravette. A review of a web site by Dr. Ryan York on pain free golf exercises of golfers over 50 years old. Dr. York also has a Facebook page with many suggestions for golfers over fifty. Club Over Swinging, Problems this causes, Taking a golf lesson to correct these problems. This article updates my experience with the CD's Own The Zone by Jennifer Scott. It explains the use of this CD and how to use it to improve your golf game. An article with suggestions on how to practice your putting. Ways to help you read the greens and improve your score. Play Golf and Stay Healthy! Article from Quinn Insurance British Masters about how to stay healthy playing golf. Helen Seed sent me this article researched by the Karalinska Institute in Sweden. Questions sent into Golf For Women about when high handicappers should play nine holes insead of 18. This is a review of an article written by Pat Mullaly on her blog www.golfgurls.com about playing by the rules and slow play. Article on how to power your shots from Ladies Links Fore Golf magazine on the mechanics of your movement through the ball. My article describes my hunt of the internet to find golf jewelry to give as awards or prizes during our golf season. This web site www.exclusivesportsjewelry.com had it all. A little sense of humor about golf from the golfing Professional and a few others. We all could use a little laughter. This article explains how to properly work on your swing by starting with the small swings first and working up to the driver. Tips on things to remember during your swing with driver and fairway woods. How over swinging causes many problems and how to correct them. A review on the progress we are making for members of Mill Creek Golf Club to buy the golf course and become a private golf course. A review of an article in Golf Magazine concernng a poll on what people play public or private golf course. 80 percent of those interviewed played public courses. The most important thing in your golf game is not necessarily how long you hit your driver but rather how good you finish on the green once you get there. A review of ways to give yourself new energy about your golf equipment and food to restore the energy during the round. This is a reviewof how to repeat your golf swing to bring about a good golf score. A review about putting and how it can lower your score with a good set up and reading the greens. Suggested in Surlady newsletter. An article about a fictional rules for the senior golfer. You may feel a need for such rules for the senior but it is only just in fun. 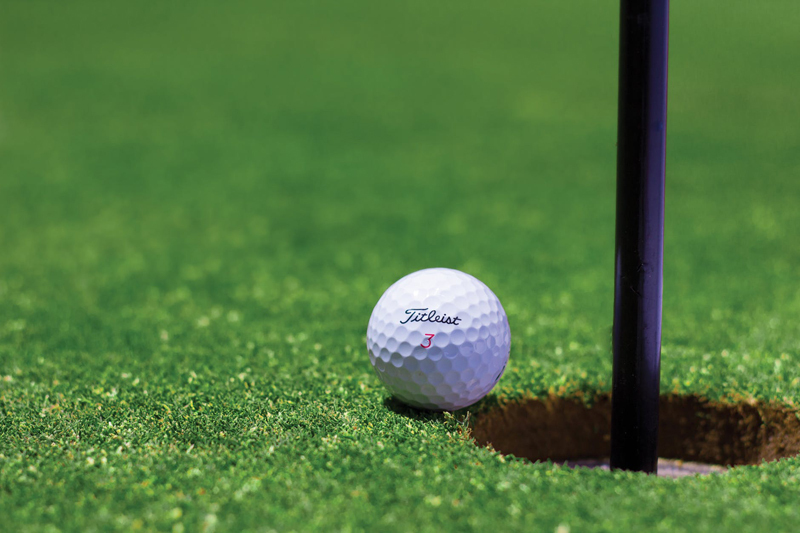 A ball marker is typically used on the putting green to spot a ball so that it can be removed when in the line of another player, but how to mark the ball, and what object to use, are not so well defined. An article about our board meeting as a season opener to start our golf season of 2010. This article is about Skin Cancer and especially Basal Cell Carcinoma. This cancer is the least likely to spread but it should be checked by your doctor and tested as to which type of cancer it is. There’s nothing worse than going out for an enjoyable round of golf and coming back 6+ hours later frustrated by slow play of everyone ahead of you. A article about putting cooking spray Pam on your driver head to smash it further and straighter. Article about a foil pouch sunscreen wipe called SPWipes to carry with you when you are out in the sun. This article list several suggestion for good etiquette on the golf course. Things to think about on the course and on the green. This article give suggestion to speed up play on your golf course. Slow Play is always a problem these suggestions may help. An article about the importance of wearing Sun Screen when out in the sun to protect your skin. An article about Susie Short Lages Shorts in Black that I ordered. Excellent design shorts for the older figure. Free golf lessons by golf professionals in your area, click on www.playgolfamerica.com and type in your zip code for a golf course near you. This article from Golf For Women magazine tells about golfing in the Lone Star State of Texas. This article explains what to do if your golf swing goes astray and a different way to see yourself during your swing using a video camera. A great article when you get into that dreaded three putts and what to do to help eliminate these putts. There are exercises to practice to smooth out the stoke. Just click on the area to bring up a PDF file to print out. Help for the older golfer in improving his backswing to become a better golfer. Dr. York give instructions in his web site www.agedefyinggolf.com and book The Golfing Good Life so check it out if you are over 50. An article about the different kinds of hybrid clubs available. How to use a these clubs in place of your irons. Suggestions in where each club could be used, description of clubs and how they work. The Laws of Golf as heard by many golfers all over the world. A review of an article in the Golf Magazine about the #one in everything about golf. Very interesting and entertaining. Article about the putter and the different varieties available. Suggestions on stance, grip and putting stroke to get the ball in the hole to lower your score. Practice is also suggested to get comfortable over the putts. Article about using the wedge around the green. Different types of wedges and how they are used to get the ball to the flag. A review of new winter weather gear for the active golfer. Golf Digest gives a full review of what is new in all weather gear. An article about planning ahead for those tournament gifts and where to look for ideas. This is a review of getting golf tips from our golf Professional to relay to the readers here. A review of part of J. L. Lewis book called Tips from the tour. This is his suggestions for golf warm exercises. A review from Luke Donald in the Golf Digest on tips for your short game. A review of more tips from the web page of J. L. Lewis the golf pro at the Mill Creek Country Club. An article about the grips on your clubs, when to change them, what kind is available and find the proper grips for your hands. A fun article on things that happen to the average golfer while playing golf. An Article just for fun. Article about how to speed up play on the golf course. Twenty suggestions are given to overcome Slow Players. Getting my Golf site finished with a forum and chat area. A review of postponing the golf lessons for women beginning golf lessons. A review of ways to improve your game with relaxing and stop worrying about the handicap. Playing with a free mind like a child and loosen up your swing. What is Wrong With Golf? A review of what is wrong with golf with the changes in equipment and gadgets it is taking too long to play 18 holes. Playing golf in three hours used to be the rule and now it could be five hours. Article in describing an article in Golf For Women on What´s Hot for 2007.
this article explains a new women´s golf web site called Women On Course. You can become a member of their virtual clubhouse with many golfing and socializing events around the country. An article about how you can work on your game through the internet checking golf lessons. Excellent source for good tips and proper swing videos. A article about how to hit longer drives as found in Golf Illustrated magazine should interest most golfers. Taking four easy ways to do this was explained in pictures and describing how to hit that ball further and in the fairway. Article on getting loft on the short shots with the your irons shots. Stop the fat shot or the screamer. An article about an on line friends named Susan Osborne who has a web site where she sells SporteeGal golf journals. This article explain the Yips a dreaded term we hope we never get. There are suggestions on different drill to help one get over this affliction. Zakiya Randall supported by a Foundation! This explain about a Foundation that was formed to help athletes to become successful and Zakiya Randall is part of this foundation. This foundation is called "Creating Leaders in Sports"